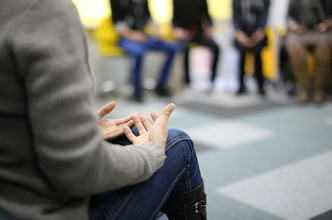 STARR 911 is designed to identify those who may be having thoughts of self-harm and assures they are given helpful information. 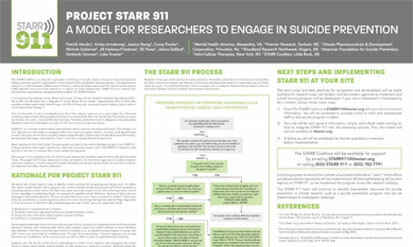 During the screening of possible volunteers for studies, many questions are asked to make sure the individual meets criteria, one of them being suicidal ideation — instead of simply stating they do not meet criteria, the operator can either give the number to the National Suicide Prevention Hotline or give a “warm” hand off to a suicide prevention specialist. Research is always looking for ways to better the lives of those who choose to participate in a study. Under current guidelines, individuals who may be suicidal are not permitted to enter a clinical trial. There are many reasons for this, but the safety of the volunteer is at the heart of research practices. 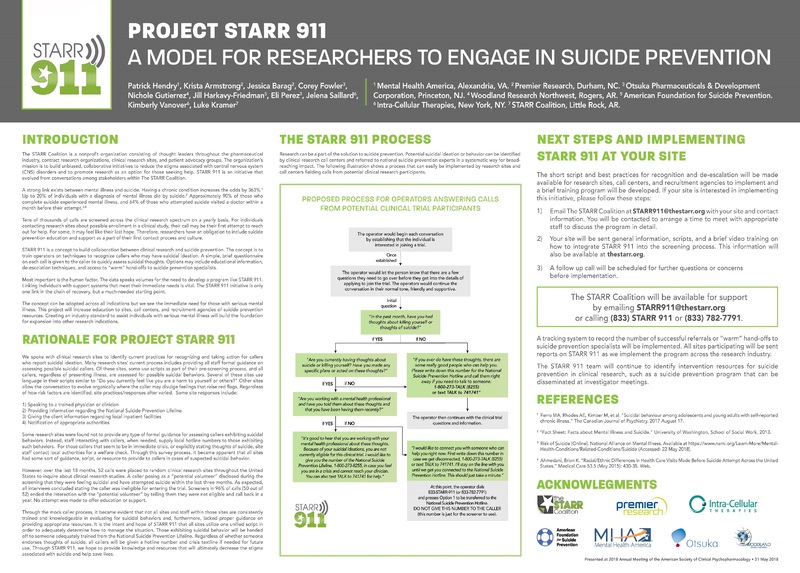 With clinical research call centers fielding thousands of calls on a yearly basis, the purpose of project STARR 911 is to build collaboration between clinical research and suicide prevention. 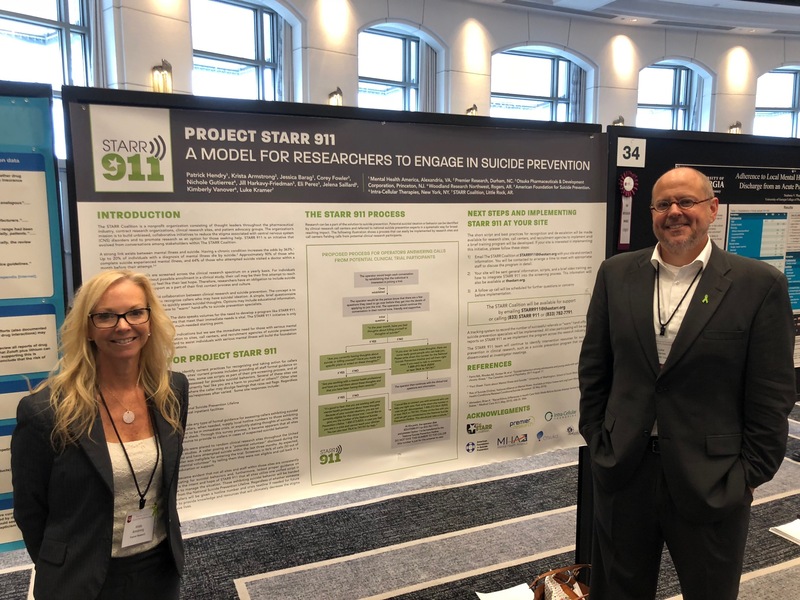 STARR 911 was featured in a Poster Session during the ACSP (American Society for Clinical Psychopharmacology) meeting in Miami. We have had many incredible partners in making STARR 911 a reality. Thank you all!